If you or a loved one has become the victim of a dog attack in Ohio and you are looking for a highly experienced dog bite law firm to help you understand your legal rights and how you may be able to recover compensation for injuries and damages, you’ve definitely come to the right place. In the last 5 years alone, over 63,000 people from across Ohio have visited this website which was specifically designed to assist dog bite victims. 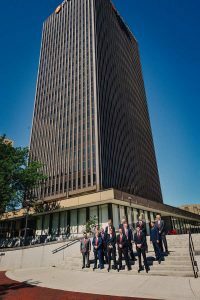 On average, between 600 to 900 people each year contact our law firm seeking our assistance related to a dog bite case and a large majority of those people hire us to represent them. In fact, we are currently handing over 125 active dog bites cases for clients who live in 63 different cities or towns located within 57 different counties of Ohio. Our vast experience with dog bite cases allows us to truly understand what you or a loved one has had to endure because of the dog attack. We frequently see the types of serious injuries a dog inflicts. We realize how long those wounds take to heal and we are aware of the long term physical and emotional scars that remain with someone who has been attacked by a dog. We also know what the true value of a dog bite case really is and we make sure our clients our treated fairly by insurance companies so they receive the appropriate amount of compensation due under Ohio law for all of their injuries and damages. 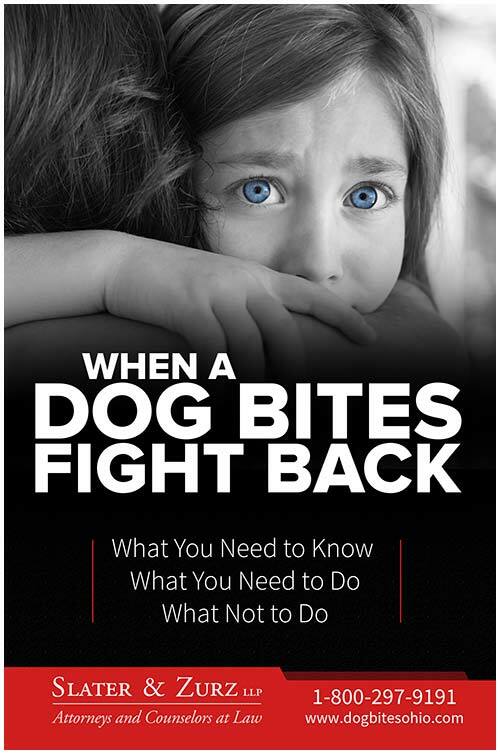 It’s bad enough when an adult is attacked by a dog but our extensive history with dog bite cases throughout Ohio shows that children are the ones who suffer the most harm. Each year, way too many children unexpectedly encounter aggressive dogs and become victims of this terrifying experience. There’s nothing we would like more than to see all children be safe and avoid being attacked by a dog. That’s why years ago we created an Ohio Kids Dog Bite Prevention Program with educational tools developed to help children avoid situations where dogs are prone to strike. 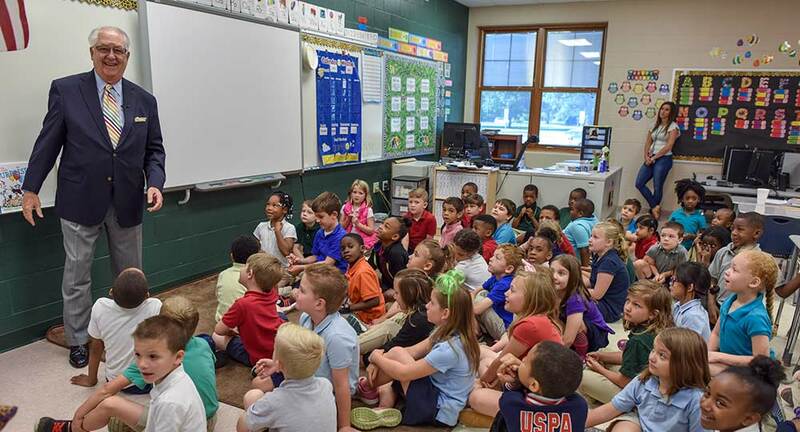 Many schools in Ohio share our Dog Bite Prevention Program with their students and when time permits, we like to visit schools to talk to students about dog bite prevention. While all this information can be helpful, the best thing to do is to contact an Ohio law firm that has massive experience with dog bite cases. As outlined above, we satisfy that requirement and invite you to contact us on any day of the week at any time of the day to discuss your case. We can be reached by calling 1-888-998-9101, emailing us at [email protected], chatting with one of our 24 hour live chat operators or sending us a website message. When you do contact us, we will put you in touch with one of our law firm’s experienced dog bite lawyers who will discuss your case with you at no cost to you whatsoever. This is commonly known as a Free Consultation. Not only will this consultation be completely free but you are under no obligation to hire our law firm. You will get the guidance you need to make decisions and necessary actions. Your free consultation can take place either over the telephone or in-person. Please also know that we handle dog bite cases for our clients on what is known as a Contingency Fee Agreement basis. This means there are no up-front costs to you and you will NOT be required to pay us a monthly retainer. You will owe us nothing for our law firm’s legal services until we get you results. We will discuss our contingency fee agreement in greater detail and address any questions you may have during your Free Consultation. To learn more about what you should do after a dog attack from an Ohio law firm that has handled hundreds of these cases for clients, simply call us at 1-888-998-9101, email us at [email protected], start a chat session with live chat representatives or send us a website message.